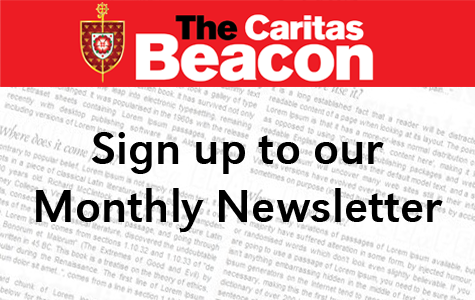 Our 2018 Caritas Ambassador Festival saw the introduction of three Bishop’s Awards. 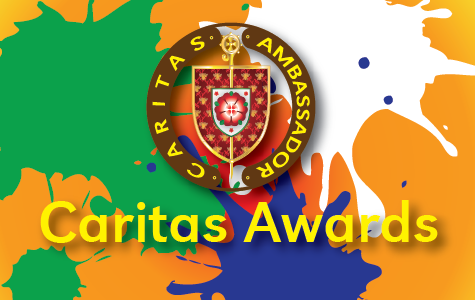 Open to all Diocesan schools regardless of whether they have Caritas Ambassadors or not, the Caritas Bishop’s Awards seek to recognise outstanding contribution to Catholic Social Teaching by pupils and staff at our amazing schools. Nominations were invited for three categories. Category 1: Outstanding group of students who have planned, led and delivered a project, which has had a big impact. Category 2: Individual student the school has identified as making an outstanding contribution to helping others in need. 2018’s winners were the Caritas Ambassadors at St Winifred’s Primary School in Stockport, for working with Caritas Family Project – Mary’s Way; Orlaith Willoughby from Sacred Heart Primary, Westhoughton, for taking the initiative and raising money to buy a pedicab to enable people in Manila could get out of poverty by starting their own business; and Mrs Suzanne Donohue from Our Lady of the Rosary Primary in Urmston for leading numerous outreach and service work initiatives, parish/school links and spiritual inspiration. In addition to this, Young People’s charity Million Minutes got involved to provide a grant award to one of our schools who had an exciting new project they wanted to get off the ground.